Size equals length plus width divided by two. Round fractions up to next size. 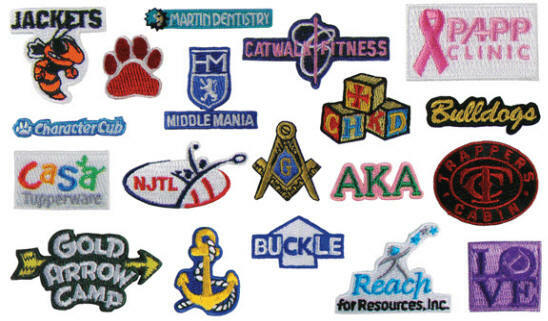 These prices include 75% embroidery coverage up to six colors. Add 25% for 100% coverage. No tape or set-up charges. Add 20% for silver or gold metallic thread. Larger sizes and special shapes are available. 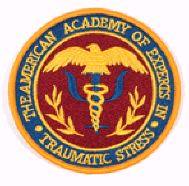 100% embroidery coverage and up to nine colors. No tape or set-up charges. Add 20% for gold or silver metallic thread. No set-up or tape costs. Minimum per design is 50 pieces on a total order of 250 pieces. 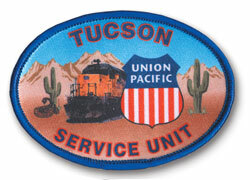 Appliques have peel and stick adhesive backing and come on perforated sheets. Most orders are sent out the same day if in stock. Full color photographic reproduction. No limit on the number of colors. 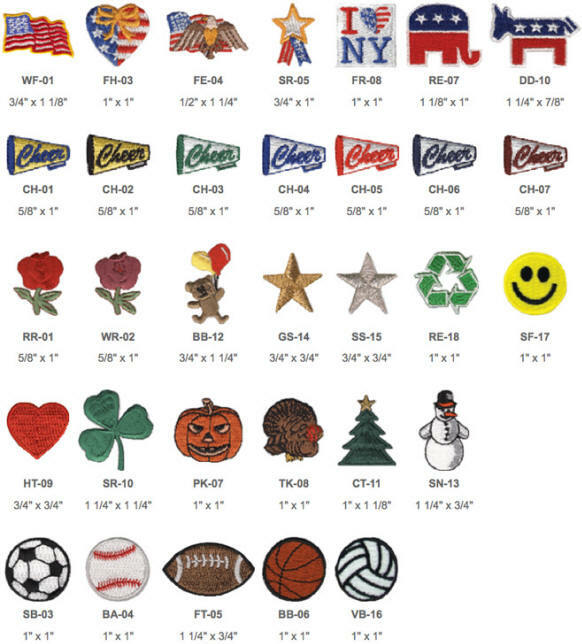 Your choice of embroidered border color. The pricing includes heat seal backing. No set-up charges.